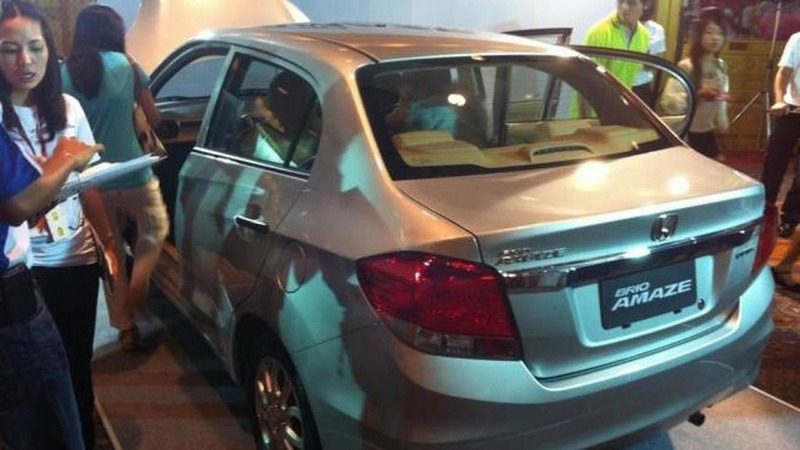 Honda Automobile Thailand has officially revealed the 2013 Brio Amaze "eco-car sedan" with a 1.2-liter engine. 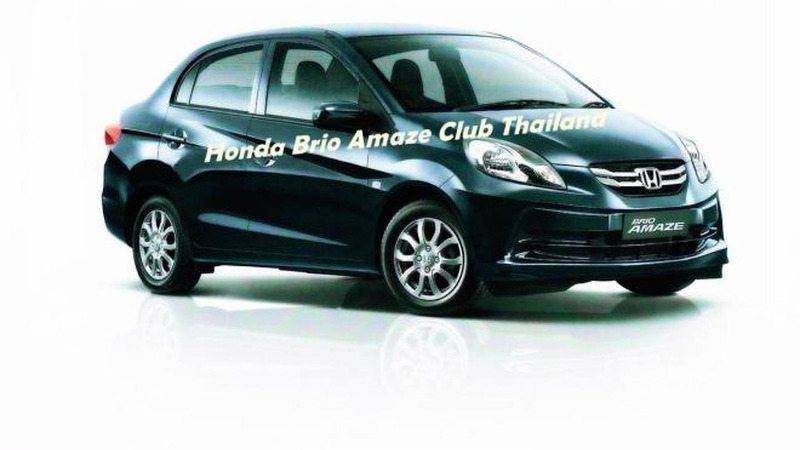 Honda Automobile Thailand has officially revealed the 2013 Brio Amaze "eco-car sedan". It comes with a 1.2-liter, 4-cylinder, 16-valve i-VTEC engine producing 90 hp (67 kW) that provides a fuel consumption of 20 km/l (47 mpg US ; 56 mpg UK ; 5 liters / 100 km). ABS, EBD and airbags are among the standard features, along with a rear armrest with nine cup holders, USB/AUX/2 DIN audio system support and remote key. Customers can choose from one of the following five colors: Taffeta White, Alabaster White (Metallic), Crystal Black (Pearl), Carnelian Red (Pearl) and Marine Purple (Pearl). Full details are available in the attached press release.